The annual South African Wine Tasting Championships got off to a great start with more tasters than n previous years. All of them keen to take away the laurels for the title of Best Western Cape Provincial wine taster. This also affers a chance to qualify for the National Final. Here the team to a take South Africa’s national colours to the World Wine-Tasting Championship in France in October. Tasters were asked to name ten wines served bind to them in decanters – not easy unles you have a good memory of what passes over your tongue. At the National Finals, 12 wines in accordnce with the World Championship rules will be blind tasted and identified by the tasters who ended up in the provincial finals from The Cape Town, Gauteng and Durban finals. 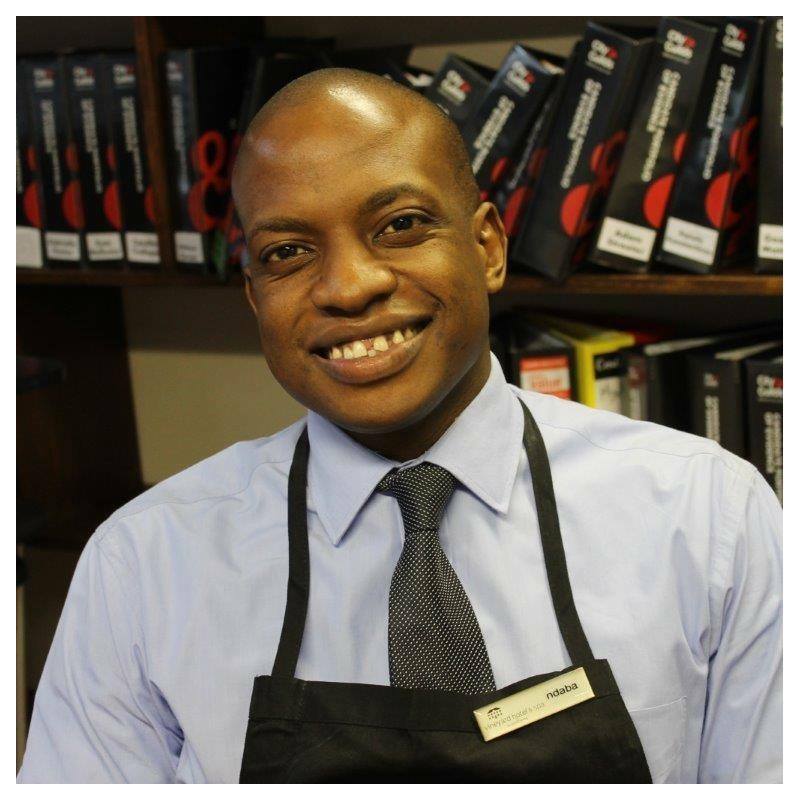 The Vineyard Hotel’s Restaurant Manager Ndaba Dube made the final cut along with Ralph Reynolds, Chris Groenewald, Tawanda Marume, Marlwyn Gwese, Francois Cillié, Alex Brodbeck, Joseph Dhafana, Anita Streicher Nel, Gavin Whittaker, Pieter du Toit, and Pearl Oliver. The best of all the Provincial tasters (Cape Town, Gauteng & Durban) will be invited to the National Final in September to decide who will make it to Team South Africa going to France for the World Champs. Not for nothing is The Vineyard Hotel one of the leaders in wine, wine dinners, their famous complimentary Monday night Sip and Savour Wine Tastings, and with its own vineyard in the heart of the city. Well done Ndaba – and good luck going ahead.